The surgical equipment market is highly lucrative and most of the surgical instrument manufacturers are dependent on development of new technology in order to create high-profit products and to increase the market share for orthopaedic and prosthetic devices particulary. The surgical equipment industry is growing rapidly due to ageing standards, innovation in anaesthetics, emerging economies and technological innovation. Furthermore, the increasing diabetic and obesity rates, and the surge in health expenditure in the Private and Public sectors, have led to an increase in the demand for medical equipment and supplies. Goldstein Research analyst forecast the Surgical Equipment Market size is set to reach USD 15.5 billion by 2024, at a CAGR of 6.1% over the forecast years. The report covers the present ground scenario and the future growth prospects of the Surgical Equipment Market for 2016-2024 along with the statistics of people undergoing surgeries and number of hospitals & clinics present worldwide. We calculated the market size and revenue share on the basis of revenue generated from major players and sales of various categories of surgical equipment from major players across the globe. On the basis of device type, surgical sutures and staples are the leads with 52% market share of global surgical equipment market owing to increasing number of surgeries while electrosurgical devices are projected to grow at a faster rate i.e. CAGR of 6.91% over the forecast period due to inflating demand of for minimally invasive surgery. Surgical Equipment Market Outlook 2016-2024, has been prepared based on an in-depth market analysis from industry experts. The report covers the competitive landscape and current position of major players in the global Surgical Equipment market. The report also includes porter’s five force model, SWOT analysis, company profiling, business strategies of market players and their business models. Global market report also recognizes value chain analysis to understand the cost differentiation to provide competitive advantage to the existing and new entry players. Our global Surgical Equipment Market report comprises of the following companies as the key players in the Surgical Equipment Market: Covidien plc, Ethicon Inc., B. Braun Melsungen AG, Integra LifeSciences Holdings Corporation, CONMED Corporation, CareFusion Corporation, ERBE Elektromedizin GmbH, KLS Martin LP, Medicon eG, Aspen Surgical Products Inc., and Stryker Corporation. Other high-flying vendors in the market are: Smith & Nephew Plc, Olympus Corp and Alcon Laboratories Inc. According to the report, major driving factor for expansion of Surgical Equipment market is the high demand for wound closure surgical procedures. Based on statistics from Association for Safe International Road Travel, around 2.35 million people get injured every year due to such accidents. Further, the report states that the major challenge is the rising demand for advance wound closure materials (fibrin, glue and sealants) and side effects associated with surgical devices and implementation of patient Protection and Affordable Care Act in the U.S. hindering the growth of the surgical equipment market to some extent. 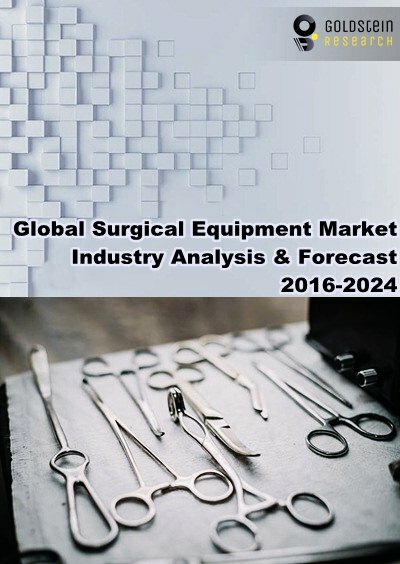 Based on geography, North America dominates the surgical equipment market with almost 42% market share in 2016 due to skilled surgeons and technologically advanced surgical tools while APAC is anticipated to show fastest growth over the forecast period owing to the rising number of road accident cases. Countries like Indonesia, Luxembourg, Singapore, Taiwan and Norway offer a lucrative growth opportunity for the key players in surgical equipment market owing to the high healthcare expenditure and increasing transformation of healthcare infrastructure. What is the revenue of surgical equipment in 2015-16 and what would be the expected demand over the forecast period?